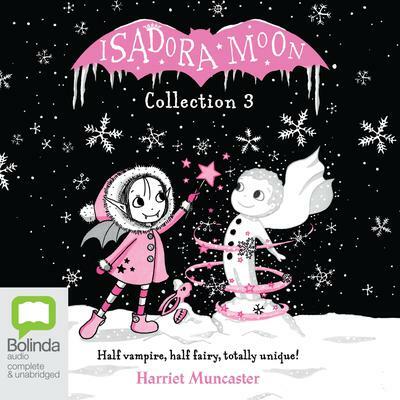 The third collection of this beautiful, charming and funny series featuring Isadora Moon – a totally unique half-vampire, half-fairy heroine with an out-of-this-world family! Isadora Moon Makes Winter Magic: Isadora loves playing in the snow, especially when her creations come to life! But snow magic can't last forever. Will she be able to save her new friends before they melt away? Isadora Moon Goes to the Fair:: Isadora is excited for her first ever trip to the fun fair, but when she arrives it's not quite as magical as she expected. Luckily, her cousin Mirabelle has a plan to make the fairground rides extra special. What could possibly go wrong?